On Sunday, August 8th 1999, officers from the California Highway Patrol (CHP) spotted a known armed and dangerous parolee at large in a parking lot of a bank in the Orangevale area of Sacramento County. The suspect was in a full size motor home. As the CHP officers readied their approach on the suspect the suspect started to drive off in the motor home. The suspect collided with one of the CHP vehicles as he maneuvered the large vehicle through the small parking lot. The violent suspect had no regard for the safety of the officers or citizens in the area. As the suspect drove across planters to exit the parking lot he fired shots at the CHP officers. A high-speed chase ensued. Deputies from the Sacramento County Sheriff’s Department quickly came to assist the CHP officers. During the pursuit the suspect fired numerous shots from the motor home towards pursuing officers. The suspect drove recklessly at high speeds against oncoming traffic. He fired shots at officers as they attempted to set tack strips to disable the motor home tires. The chase entered the city of Folsom. In historic old town Folsom the suspect purposely swerved the motor home off the roadway and careened down an embankment. The motor home rolled over several times. The fragile vehicle disintegrated into several pieces the body was torn away from the frame. The motor home burst into flames as it came to rest at the bottom of the embankment. Even with the devastating damage the suspect was still able to exit the nearly fully engulfed vehicle and fire shots at officers that were standing near the top of the embankment on the roadway. The suspect disappeared into the heavily wooded thick brush area along the American River. A perimeter was established around the scene. The grass and brush around the motor home began to burn and a large vegetation fire was soon burning out of control. The fire threatened historic landmarks such as a “hydro mine” that was near by. Due to the dangerous threat of the suspect in the area fire officials were not able to combat the fire. The Sheriff’s S.E.D. (Special Enforcement Detail) teams and canines were called to the scene to organize a search for the suspect. Intelligence on the suspect revealed that he was most likely armed with an AR-15 assault rifle and that he would not be taken alive. Part of the S.E.D team was deployed to cover firemen as they attempted to douse the flames and to protect the landmarks. The remaining S.E.D. officers were deployed in three separate groups. Group one was deployed and started down river from the scene and worked up river. Canine handler Earl Johnson and his K9 Frenchy was assigned to this team. The search was to be done in total darkness with the use of night vision goggles. All communication had to be done by hand signals. A second team was assigned to start at the top of the embankment and work towards the edge of the water. A third team was assigned to flank team one and two on the up riverside. Canine handler Rick Kemp and his K9 Bruno were assigned to team three. The canines were deployed in a S.K.I.D.D.’s (Swat and K9 Interaction During Deployment) search. This type of search is done on a long line usually 15 to 30 feet in length. The canine detail and S.E.D. train together just for high-risk situations like this one. The S.E.D. officers feel comfortable being around the canines and trust their abilities. One of the Sheriff’s Departments helicopters was over the scene and was searching the area with a FLIR (Forward Looking Infrared). Due to the risk of the suspect shooting at the helicopter the crew had to fly in total darkness with all flight warning lights turned off. This was an increased danger to the crew without the flight warning lights it was nearly impossible for other aircraft to see the helicopter. To make it even more demanding for the crew the pilot had to hold the helicopter in a stationary hover while the observer concentrated on the FLIR. The helicopter crew reported that they had spotted a “hot spot”, possible human figure in the water near an inlet. Team two was given the orders to move towards the top of the inlet while team one moved along the edge of the water as the canine was being directed out in front of the team. The movements were very slow and at times in waist deep water. The teams moved slowly towards the direction of the inlet all the time knowing that the suspect may fire a shot at them at any given moment. Team three was positioned across from the narrow inlet in case the suspect swam across. The areas where all the teams were deployed was still on fire, however, the flames were dying out. It was extremely smoky which made it difficult to breath. Team two moved towards the location of the “hot spot” the helicopter saw in the FLIR. The spot was approximately the size of a human head. The crew was unsure if it was an animal or the suspect. The order was given to deploy two flash bang grenades in the area of the “hot spot”. This was done to stir movement. Once the flash bang grenades were deployed it was evident to the flight crew that they had in fact had spotted the suspect who was in the water up to his neck in thick foliage. The suspect began to move out of the inlet along the waters edge down river towards team one and K9 Frenchy. The team spotted the suspect in the water. Frenchy was sent to apprehend the suspect with a bite. Frenchy engaged the suspect on one of his arms. The suspect, who was in waist deep water, turned his back on the officers. Frenchy was biting the suspect and treading water. The suspect held Frenchy’s head underwater trying to drown him. Frenchy fought to stay above water and continued to bite the suspect. Fearing that the suspect was going to drown Frenchy and possibly further escape the team one leader gave the direction to use deadly force on the suspect. The suspect was shot once in the upper right shoulder and once in the back of the right jaw. The bullet exited out the front of the suspects face. The suspect released his grip on Frenchy and was taken into custody. The officers on scene tended to the suspects injuries while they waited for emergency personnel to arrive via boat. The suspect survived his injuries and was convicted of his crimes and is now serving out many years in a California State Prison. The officer’s and the canines involved in this incident performed in an exemplary manner displaying courage and bravery above and beyond the call of duty. 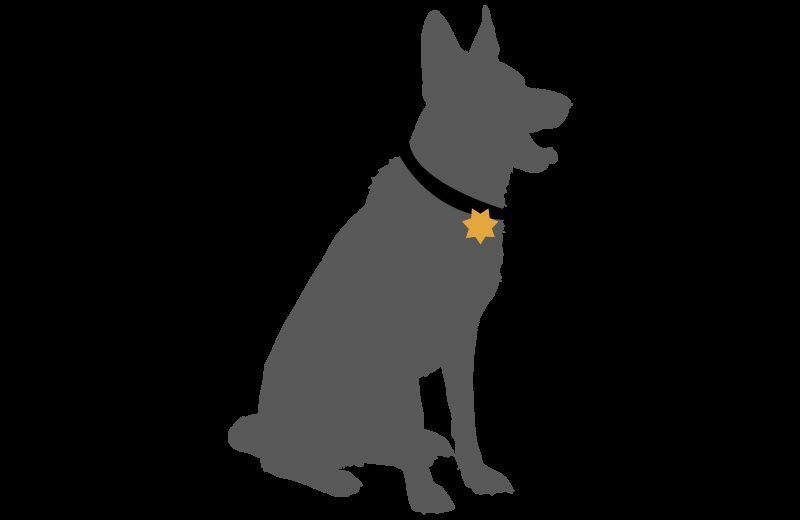 For outstanding performance and bravery in the line of duty, reflecting credit upon the Sacramento County Sheriff’s Department, the Bronze Star was awarded to Deputy Earl Johnson & K9 Frenchy and Deputy Rick Kemp & K9 Bruno.